For the first time since 2014, UN peacekeepers are back on Golan Heights Syria frontier. As the situation stabilizes further, these posts will be handed over to Syrian government forces. Overnight, Israel was on high alert as ISIS fighters tried to cross into its territories. This is a significant realization by Israel and others that the earlier foolish policy of arming and supporting militants on its border had to be reversed. It is now clear that without the Syrian state, the void will be filled by an uncontrollable cocktail mix of armed groups. The significant myth that was promoted by observers was that the presence of the Syrian state is likely to bring more chaos and instability than the other way around. To help this argument, such groups promoted Shia/Sunni discord and argued that the only way to calm majority Sunni fears was to defeat the Syrian Arab Army. 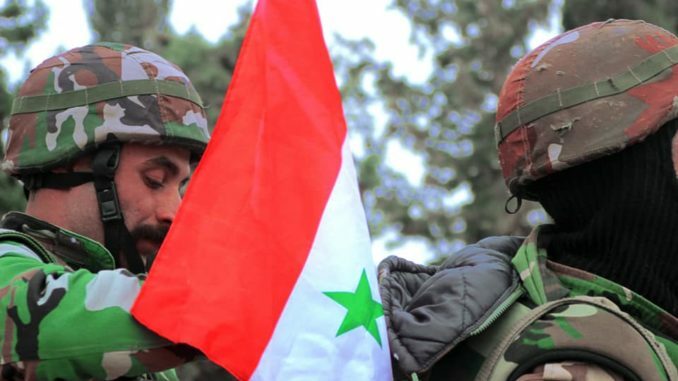 Whether it is at Southern, Northern or Eastern Border, the only way for stability to return to Syria is for ALL non-State actors to disarm and for Syrian Army and what is left of its institutions to reclaim authority over all 185,180 Sq Kilometers. No other solution is credible. Love your work. So important to have an aware, objective, reliable voice from a Syrian.